DissertationReviews.org said I’d be waiting 2-3 days, but it took no more than 10 minutes to register and have documents on my desk at the 天津市档案馆 Tianjin Municipal Archives. I had modest expectations before arriving at the archives, so you can imagine my delight when I handed my letter of introduction to the staffs—a man and a woman both wearing Party lapel-pins—and the man, after quickly perusing my credentials, announced “可以！” (“OK!”). I was apparently all set to do research. 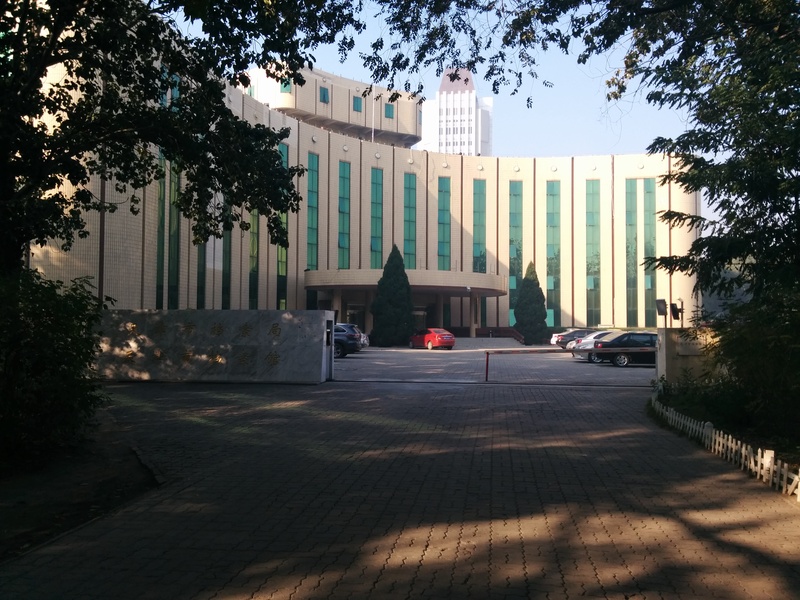 A sound I love to hear when arriving at an archive: "可以"
The Tianjin Municipal Archives has an online, searchable document-level catalog. It’s a clunky search system in my experience and not always accurate/complete, but it can still speed things up (they also have a catalog you can search on site, should you show up unprepared). After getting the “OK,” I showed the archives’ staff the list of 30 or so documents I wanted to look at it and they started to request them in batches of five folders (the limit) right away. All of my requests were delivered promptly, with little time to waste. The reading room is spacious and has a number of desks for researchers. Every desk comes equipped with a reading lamp and, importantly, an extra outlet for your laptop and/or cell phone. To be sure, Tianjin is not a perfect place to do research. You have to work fast, because the archives is only open a handful of hours each day. Opening time is 8:30 a.m., lunch break runs from 11:30-1:30, and closing time is 4:30 p.m. You also have to have nimble figures and be prepared to type a lot. No photocopying services are available, and cameras are forbidden. Despite these limitations, the Tianjin Municipal Archives still ranks higher-up on my hierarchy of Chinese archives and I’m eager to go back tomorrow. The Tianjin Municipal Archives is located at 天津市南开区复康路11号, though the entrance is on 水上公园西路. Upon entering the compound, go to the rear of the building to find the reading room entrance.